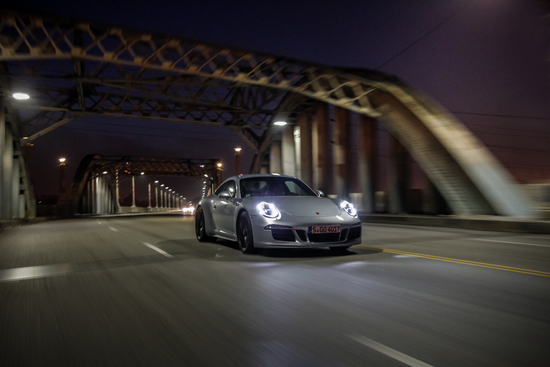 Porsche has been synonymous with incredible driving performance for years. 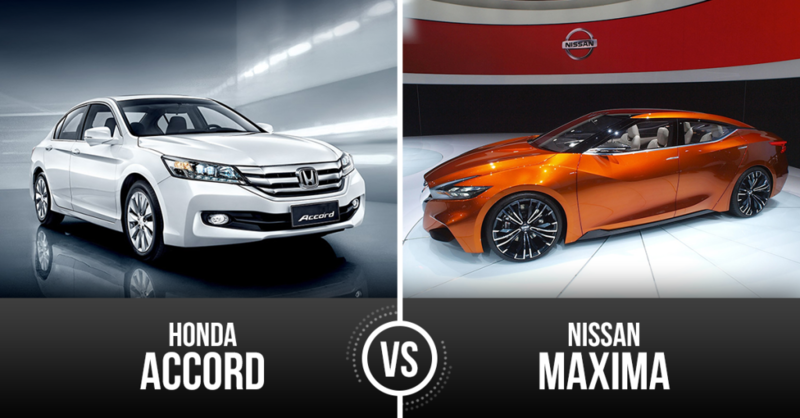 Today, we’re comparing two of the best. We’ll compare specs, prices, performance, design, safety, and features of the Porsche 911 vs Porsche Cayman to help you decide which car will best fit your needs. The 2015 Porsche 911 maintains the timeless design cues you expect from Porsche. Available as a coupe or convertible, the soft, round headlamps, sloping nose, low front grille, and rounded rear characterize this sports car. It’s a sporty, yet soft presentation so many Porsche enthusiasts have grown to love. There are plenty of aesthetic options to customize your 911, like body kits, spoilers, wheel designs, decals, and more. 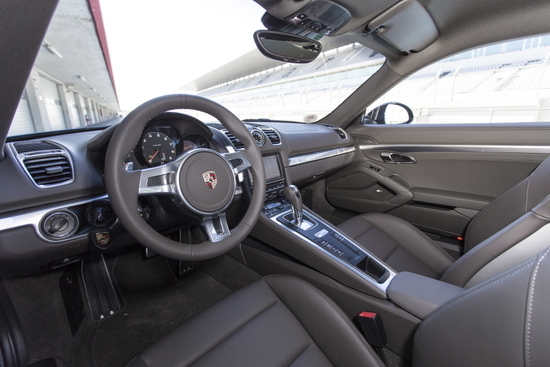 Step inside the 2015 Porsche 911, and you’ll find a new large center console. The focal point is a centrally located screen, with a variety of buttons scattered below. It’s a modern, performance-oriented interior design. Front seats are extremely comfortable, but rear seats are extremely tight. The GT3 model only seats 2 passengers, rather than 4. The front trunk is adequate for a weekend trip, but not much more. The engines and engine variations of the Porsche 911 are seemingly endless. The general base engine is a 3.4L flat 6 engine that produces 350 hp. Next up is a 3.8L flat 6 that produces around 400 hp. These engines are available with either a 7-speed manual or the Porsche Doppelkupplung (PDK) transmission. Try saying that 10 times fast; or once for that matter. The new GTS features a 3.8L 6-cylinder engine that produces 430 hp. The Porsche 911 GT3 has the same size engine, but it produces 475 hp. At the top of the line is the 911 Turbo and Turbo S. With twin turbo-charged engines, the Turbo produces 520 hp, and the Turbo S produces 560 hp. The beefy Turbo S can run 0-60 in under 3 seconds! Handling, steering, and braking are top notch in the 911. 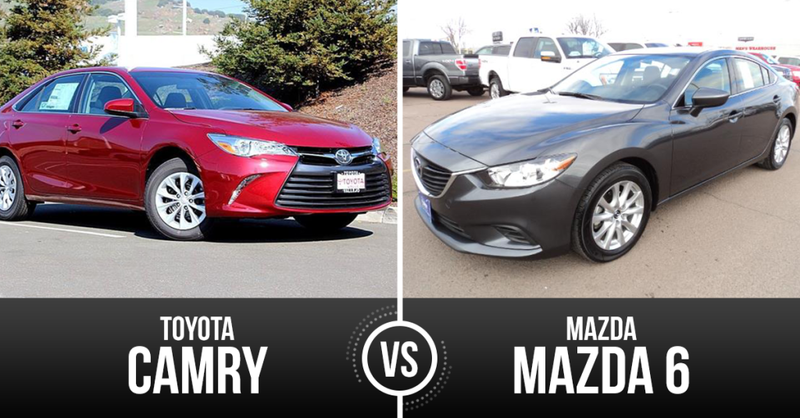 It’s one of the most nimble, fun to drive cars around. While some cars of this caliber can be difficult to control in the city, the 911 can function well as a daily commuter, or as a designated track toy. 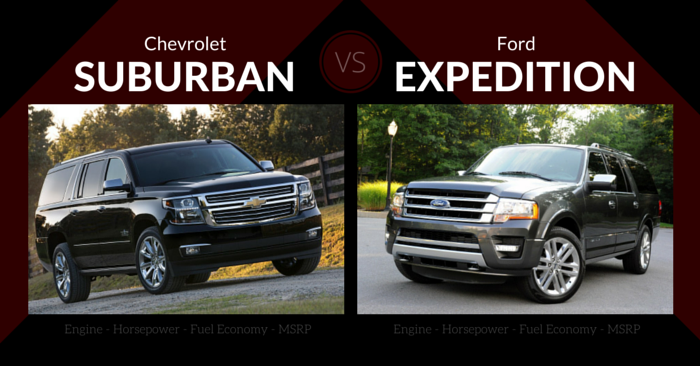 RWD is standard on the base car, and AWD is standard on the Turbo models and “4” models. For a car with such power, the 911 is surprisingly efficient. 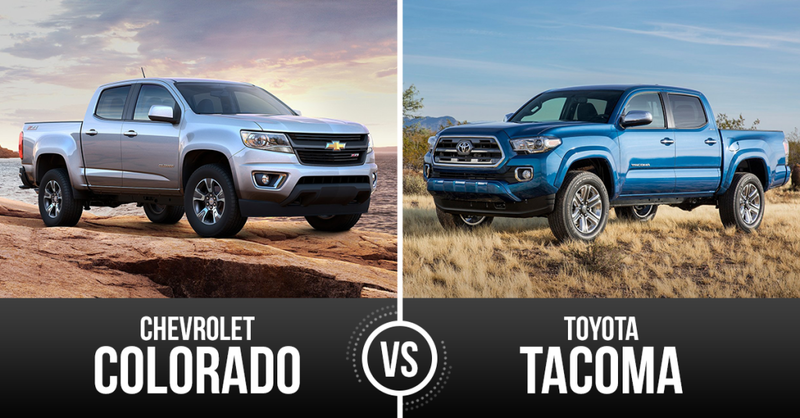 In the base model, you can expect 20 mpg city and 28 mpg highway. The high-powered Turbo and Turbo S both produces an impressive 17 mpg city and 24 mpg highway. 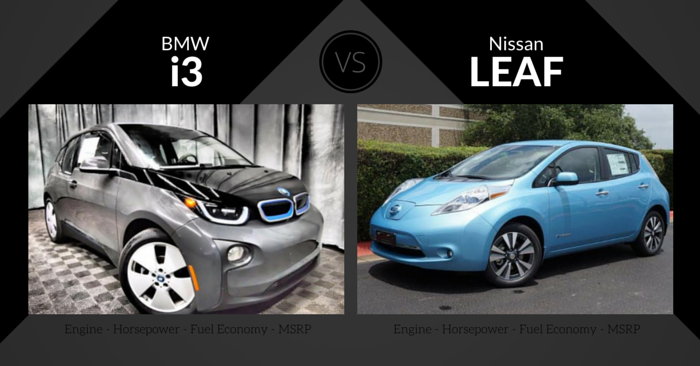 The GT3 is the least efficient, achieving 15 mpg city and 20 mpg highway. The 2015 Porsche 911 hasn’t been tested by either the IIHS or NHTSA, but it has the expected safety features. This car comes with a nice set of airbags and Porsche Stability Management, Porsche’s version of traction and stability control. These features can assist more or less, depending on the driving mode selected. Adaptive cruise control comes on all 911s with PDK. Park assist with a rearview camera, automatic braking, and forward collision warnings are also optional. 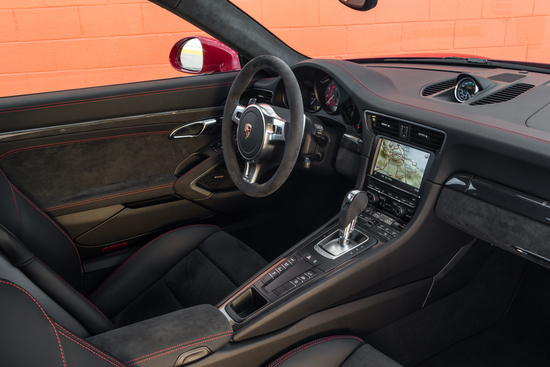 Every 911 comes with Porsche’s infotainment, navigation, DVD capability, keyless entry, iPod interface, Bluetooth, USB, dual zone temperature controls, 7-inch touch screen, and more. The list of upgradable features in incredibly long. Some of the highlights include Burmester audio, sunroof, power-operated convertible top, leather interior, and more. 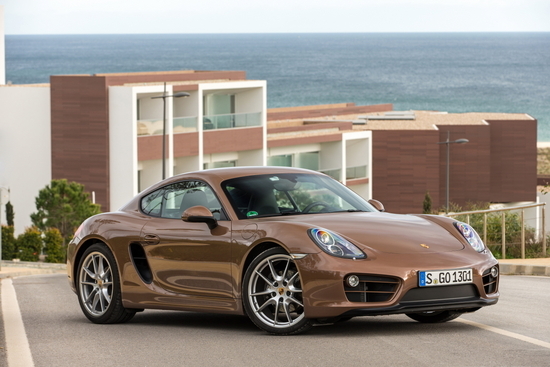 Recently redesigned, the 2015 Porsche Cayman has a design that fits right into the Porsche family. Overall styling is crisp and angular in comparison to previous generations. The front is characterized by a sloping hood, and a low-set mouth. From the top of the windshield, the roof gently slopes toward the rear. Big rear fenders bubble over the back tires, and sharp tail lamps serve as a nice contrast to gentle slopes surrounding the lights. Inside, the 2015 Cayman has a long, center stack and symmetrical layout. Most buttons and controls fall in the middle, while the driver and passenger areas are simple yet sleek. The base trim has attractive, high quality materials, while upgraded trims offer even more customized, luxury materials. Despite the small design, there is plenty of room for 2 people in the Cayman. While storage space isn’t huge, the mid-engine design allows for both a small front and rear trunk. 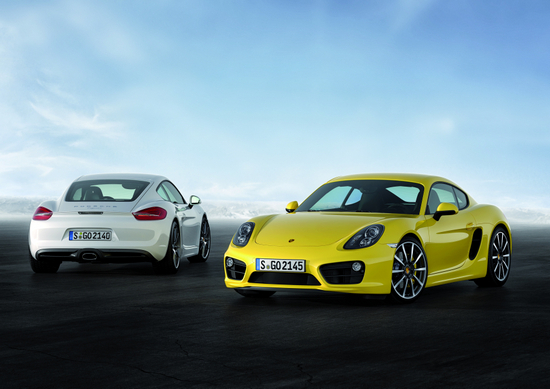 In 2015, the Cayman comes in 3 flavors: Cayman, Cayman S, and Cayman GTS. The base Cayman comes with a 2.7L 6-cylinder engine that produces 275 hp. The Cayman S has a 3.4L 6-cylinder engine that produces 325 hp. At the top, the GTS has an engine of the same proportions that produces 340 hp. 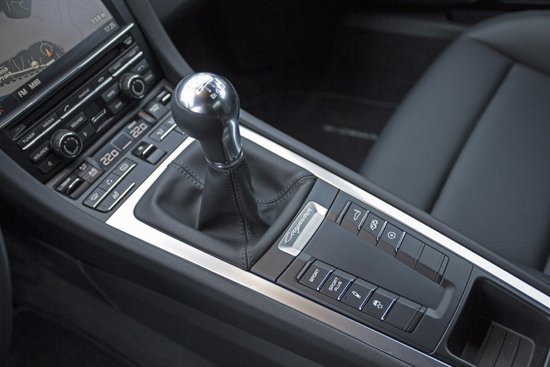 Every model comes with a 6-speed manual standard, and PDK is optional. Base engines will drive 0-60 in just over 5 seconds, while the top GTS can produce 0-60 times in the low 4 second range. Overall, the Cayman offers and incredibly powerful and satisfying driving experience. It’s powerful enough for the track, but detailed enough for daily driving. Most drivers will have more than enough power with the base Cayman, but track enthusiasts may require an S or GTS to be fully satisfied. 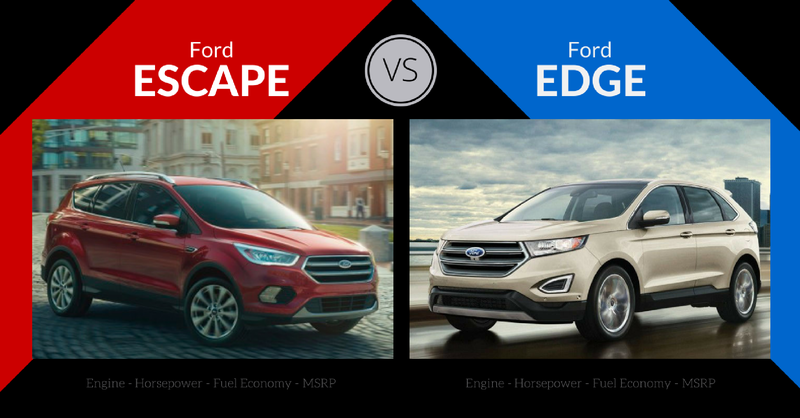 Considering the sporty-character of this vehicle, the fuel economy is impressive. Base Caymans achieve and estimated 30 mpg highway and 20 mpg in the city. The beefy GTS 19 mpg city and 26 mpg highway. These numbers are figured with the base manual transmission. Adding PDK significantly improves efficiency. There aren’t any crash test ratings for this Porsche, but it comes standard with extra impact beams, traction and stability control, ABS, and more. Optional features include parking sensors and a rearview camera, both new in 2015. Heated side mirrors, sport seats, 4.6-inch display screen, Bluetooth, 7-inch touch screen, infotainment, rain-sensing wipers, auxiliary input, and more come standard. Other features include upgraded audio, USB, satellite radio, dual-zone automatic climate control, and more. If you’re looking to get into a premium sports car with the lowest price tag possible, the base Cayman offers an incredible driving experience for the price. The set of base features is very healthy, and many argue the Cayman has a more attractive exterior than the 911. With 0-60 times under 3 seconds, the top of the line Porsche 911 Turbo S is absolutely unreal. 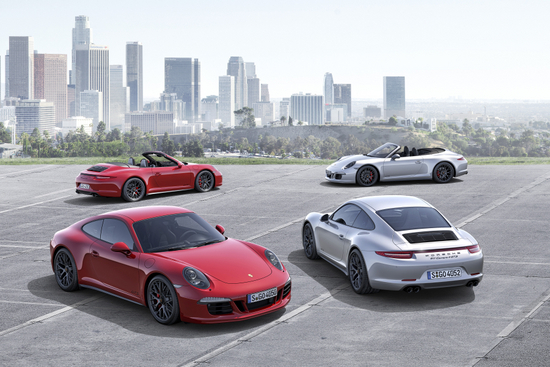 For the ultimate sports car experience, there are few vehicles that can compete with the 911. 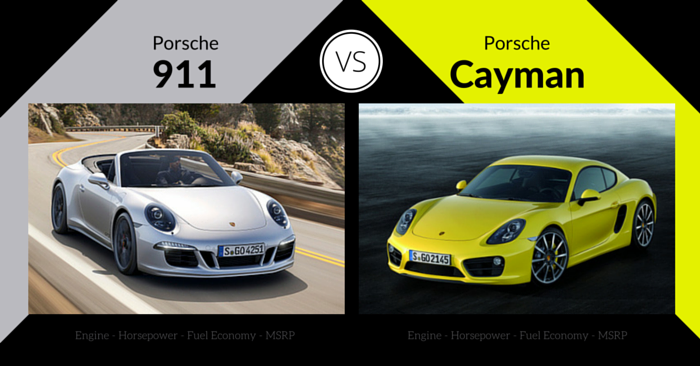 Comparing the 2015 Porsche 911 vs Porsche Cayman was difficult. 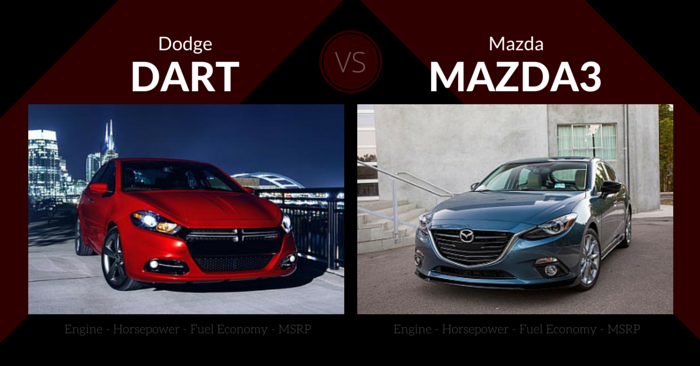 Because these vehicles are in different leagues, we have to decide which Porsche provides the best overall value. While Porsche 911 is faster and more powerful, you’re paying significantly more for that improvement. We feel the Porsche Cayman offers a competitive overall experience to the 911, with a significantly lower price tag. The Cayman has incredible driving dynamics, and optional upgrades galore to customize the car to pacify even the most picky luxury car buyer. Which Porsche would you prefer? Let us know in the comments below!